Chris Jones, Chief Executive of Welsh Water, will be guest speaker at Swansea Bay Business Club’s September networking lunch at the Liberty Stadium, sponsored by Lloyds Bank. The lunch will be held on Friday September 28 as businessmen and women from across the Swansea Bay City Region come together for the first major club event after their annual summer break. Chris first joined Welsh Water in 1995 and held several roles, including Finance Director, at the not-for-profit company before taking the helm in 2013. The Deputy Chairman of the Council of the Princes Trust will be discussing his own career path that has taken him to the top of Wales’ largest water provider as well as some of the challenges that the company will face throughout his long and short term plans for the future. As ever, the lunch will also provide attendees with the opportunity to network with businesses from across South West Wales, with over 150 attendees expected on the day. 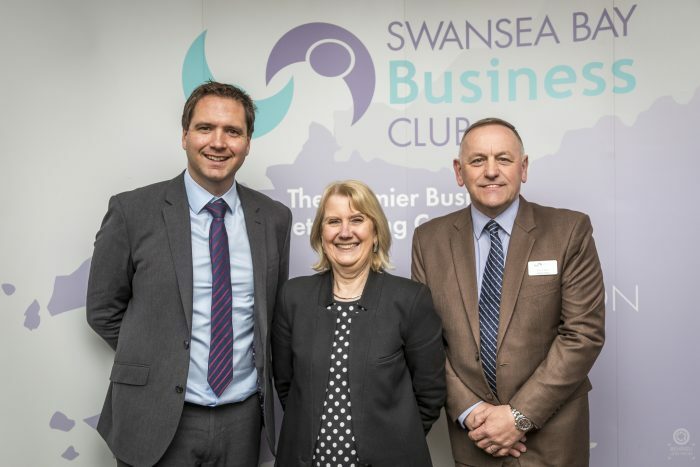 Swansea Bay Business Club’s September lunch will be held on Friday September 28 at the Liberty Stadium with guests asked to arrive from 12:15 for a 1pm lunch. Tickets to the lunch will cost £25 for members and £30.50 for non-members; this will include a two-course lunch. Early booking is advised to avoid disappointment.